The American Cancer Society's Colleges Against Cancer, in partnership with Relay for Life, is a nationwide effort among college students, alumni, and faculty to raise awareness on the reality of cancer and fundraise in our community. We will be able to join the fight against cancer by fundraising, and participating in events that are in accordance with the American Cancer Society. Members of the club will be able to visit the American Cancer Society building, and participate in multiple events held here, where there will be many professional individuals who specialize in cancer research, and fundraising awareness. Members will be able to be in a safe and comfortable environment to speak about a disease that has touched the lives of millions. The mission of Feminist Thought at the Macaulay Honors College of the City University of New York is to educate the members of student body about the advocacy of women's rights on the basis of the equality of the sexes, to raise the consciousness of Macaulay students to the effect of their own actions on current feminist issues across the globe, to serve as a forum for discussion and a source of information on feminist issues, and to engage with and establish strong and lasting ties with other organizations across CUNY and the greater New York City area whose mission aligns with that of this organization. Membership benefits include access to and participation in a community of peers interested in learning about and advancing women's rights, rooted in equality of the sexes. Members will also have access to events, mentors, and internship and community service opportunities. Members will have the opportunity to interview students across all CUNY campuses, thus fostering a sense of community. We will hold various social events that will also bring students together that will revolve around culture or other fun activities. Senior members will be featured on the Humans of Macaulay page at the end of the year. The Macaulay Book Club offers students with the opportunity to engage in conversations about books they have read or would like to read, writing, authors, and more by selecting books to read together. Club members will then be able come together to discuss their thoughts and opinions with other Macaulay students. The purpose of MBC is to bring the power of business to CUNY. To do this, our overarching, long-term goals are to introduce students to the numerous fields open to them, prepare them to enter these fields, and provide an environment where they can give back to the CUNY and Macaulay community. - Build professional networking skills. - Build upon yourself as a professional, including resume, cover letter and elevator pitch workshops. - Gain access to exclusive internships at places like EY, PwC, Nomura, Goldman Sachs, Morgan Stanley, etc. - Exposure to various sectors such as finance, accounting, marketing, management, law, etc. To facilitate the playing of chamber music among Macaulay Honors College students who are also classical musicians. Meet fellow talented Macaulay students from multiple campuses! Pursue the opportunity to continue playing your instrument in college! Our mission is to serve as a mode for self-expression, promote confidence, act as an artistic outlet, and offer a sense of unity for the Macaulay community. We aim to untie a team of student dancers who desire to express themselves and their love of the hip-hop culture with Afro-Caribbean influences through dance. To share our love and knowledge of dance with everyone we can. The purpose of this organization shall be to promote Bollywood Fusion Dance and South Asian culture using dance through the creation of a competitive and performance Bollywood-Fusion dance team at Macaulay Honors College. Members of Macaulay Deewane are exposed to a variety of dance styles, as well as music; through observing choreography, learning, and practicing, members are challenged in their physical abilities and are supported as they master new forms of dance. Team members are also placed in a positive, energetic, and culturally diverse environment in which they are able to learn from and interact with students from all CUNY campuses, establishing relationships that may have otherwise been difficult. Our purpose is to create a welcoming community for all Macaulay/CUNY students regardless of their status in this country. We want to foster an environment in which they feel like the limitations they may face in different aspects of their lives--academic, professional, and emotional--could be overcome with the proper tools and skills, which we hope to provide through this student club. Opportunity to meet foodies from across all 8 CUNY campuses. Our club is affiliated with Habitat for Humanity which is a non-profit organization that strives to give homes to those less fortunate. Families in need are given the opportunity to partner with Habitat, paying back the money used to build their home by volunteering. Our Chapter builds with Habitat as often as possible, usually at least once a month. Our builds take place in any of the five boroughs, mostly in Queens, Brooklyn and Manhattan. Anyone can join, no construction experience is necessary. We notify members of meetings and builds via email and our Facebook page. Builds usually take place Saturdays from 9am to 4 pm, and/or during times of vacation. Volunteering with us gives you a fun and hands on way to make a difference in your community. It's also a great way to make friends with people from all CUNY campuses. Your work is always appreciated and your participation will be remembered and treasured by the families you help for years to come. This is also a great way to satisfy your service hours, as a Macaulay student. Italians are actually considered a minority in CUNY which probably will come as a surprise to most people. There are many clubs that encourage the learning of and enjoyment of cultures such as that from Africa, Asia, and other places around the world. Unfortunately, there is no club to celebrate the culture of Italy which is one of the most historical and beautiful places in the world. Italy is famous for its phenomenal food and even having the Pope in the Vatican which is a tiny country located in Italy. Hopefully with the formation of this club, we can educate people about the culture of Italy, its past, its current situations, and how Italians have brought their culture to America and the ways it has changed. We would love to be able to also talk about the success of famous Italian comedians such as Sebastian Maniscalco and lesser known Vic Dibetetto who have made their careers off Italian lifestyles. Also, we can look into showing the movies surrounding Italian culture and the famous Italians actors in them. We will also hopefully talk about how Italians have made an impact in all aspects of America. Furthermore, we will try to create a great network for all interested in learning in Italian culture and better informing students about the benefits of learning the Italian language. Becoming a member of the Italian Cultural society means that you are able to learn about and celebrate Italian culture as well as network with a great group of kids who treat you like family and want to see you grow as a person and in your career. Our Vice President actually was able to use being a part of this club as a talking point in an interview for EY which he later got a job offer from. The aim of the CUNY Macaulay Honors College Quidditch Club is to represent the principles and values of US Quidditch and uphold the rules as put forth by the US Quidditch Rulebook. The club also aims to foster an appreciation for physical fitness through competitive athletic activity, as well as provide a platform for students of all CUNY campuses to interact and build relationships that can develop beyond the club itself. The opportunity will also exist through quidditch to create and build relationships with students from other universities. The club will help to enforce a greater understanding and application of sportsmanship and accountability in practices, matches, and everyday life. Friends. Family. Fitness. Fun! The Macaulay Marauders is a co-ed sports team and a club, but even more than that we are a family. By joining our #Ohana you get the benefits of being part of an awesome community whether or not you like Harry Potter. We, the Marauders, strive to create a healthy and accepting community where you can foster lifelong friends while playing this awesome sport. Our goal is to serve as an informative newsletter for Macaulay students across the city. Through our content, we convey the voices of Macaulay students. We welcome submissions in the following categories: News, Opinions, Science & Technology, Arts & Culture, Sports, and more! 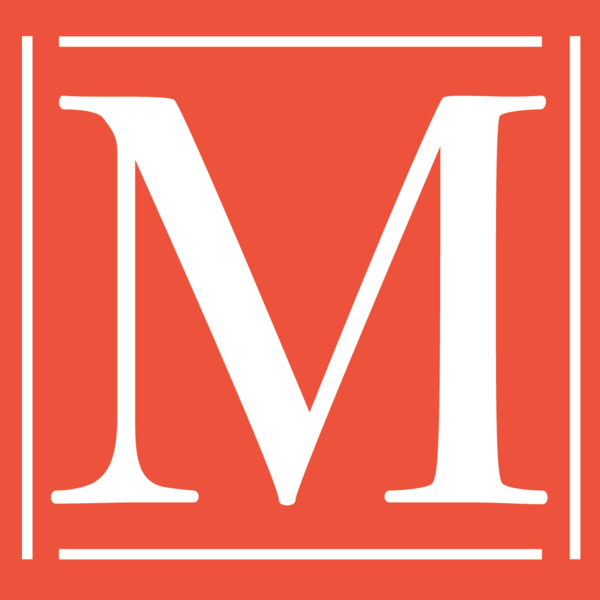 Members will have the opportunity to get their work published on the Macaulay Messenger's website, thus they can compile a collection of clips with their bylines. They will also be able to connect with a community of fellow students who are interested to some extent in the blogosphere, writing, and/or journalism. The Musicians' Collective is a club for all CUNY Students who enjoy playing rock, jazz, funk, and/or fusion to rehearse, write, record, and perform music together. The Collective has a very strong emphasis on musical improvisation and collaboration. The Musicians Collective provides opportunities for students to hang out and learn classic jazz standards and how to express themselves through improvisation. We also offer students to perform at a variety of events and venues. To unite a group of Macaulay photographers or students interested in photography to take pictures for personal, club, and MHC endeavors. Members will learn to properly use a professional camera, proper technique and to creatively express themselves through images that they will take over the course of the semester. To establish a mentoring program between members and alumni in their respective fields. To provide engaging events that educate members on current developments in their fields. To engage members with events that spark interest and conversations in pre-health fields. Benefits of this club is to educate and prepare students with necessary information about their pre-health track for undergraduate and future endeavors. This club has three major missions. The first is to dispel the idea that psychology is Freudian therapy, when in fact, there are different fields one can study and different career pathways that one can take.The second is to provide psychology majors, minors, and lovers across the eight Macaulay campuses different sources of support for their education. Our third and last mission is to reach out to the students of Macaulay Honors College and support their emotional and mental health needs. The purpose of the Macaulay Queer Alliance is to provide a space for the LGBT community in Macaulay to gather, connect, socialize, and provide service to the NYC LGBT community! Membership benefits include finding and bonding with fellow LGBT Macaulay students in a safe space as well as developing a greater understanding of LGBT issues and history. SPARK is an initiative that empowers teens to mentor young children in schools through the power of goal setting, community service, and leadership development. Macaulay Service Initiative (MSI) is a cross campus initiative aimed at promoting and fostering a spirit of service within the Macaulay community. We aim to engage students by organizing external community service opportunities and hosting fundraising events, with proceeds going to charities and non-profit organizations. Members will engage in various community service opportunities with a diverse set of non-profit organizations. In addition to community service events, members will also be able to engage with the MSI and Macaulay community through fundraising events with proceeds going toward charitable causes. To Promote STEM Initiatives and Culture at Macaulay. Be part of a network that promotes STEM events, culture, and projects to the Macaulay student body. Connect Macaulay with NYC STEM Institutions. To help bring the powerful nature of the performing arts into the Macaulay world, and bring together students with passions, or even just small interests, in singing, dancing, and acting alike. We are trying to bring together the eight Macaulay campuses to explore theatrical techniques and their physical, psychological, emotional, social, and vocational elements. Theater can be a powerful tool, and we hope to work as a community to create a piece of entertainment for our audience while we learn about ourselves in the process. To participate in a theatrical production (a musical in the fall and a straight play in the spring) in an inclusive and team-oriented environment. To provide the Macaulay community with fresh new music. To spread the Macaulay name nationwide. To serve as a creative outlet for Macaulay students. To bridge an inter-generational gap by connecting students and seniors through fun activities. We hope to make meaningful contributions by providing time, company, and care for the senior community. College students will volunteer to spend time with senior citizens and receive community service hours for doing so, while seniors are provided with fun activities and company. Our mission is to gather Macaulay students across the eight campuses and discover our interests in the field of computer science together. We will create together, we will compete together. This is a community interested in accelerating a technologically driven future. Access to mentorship from upperclassmen, alumni, and industry veterans from companies such as Google and IBM. Access to our hackathon preparation, where we work together to brainstorm ideas, share experiences and struggles, teach each other the latest development tools, form groups based off similar interests, and compete to win hackathons. Students will leave this club with a resume full of skills, a portfolio full of projects, priceless connections, internship opportunities, and a lucrative career. Work on local peace issues as well as state, national and global concerns such as: nuclear weapons, wars in Iraq and Afghanistan, the refugee crisis, constructive responses to the Islamic State, drones, military spending, black lives matter, and carbon-free energy. Attend conferences with other students including the Peace Action New York State Student conference and an annual conference at MIT. The purpose of this organization is to educate students about the various fields in law, the law school application process, and the various graduate schools that they may wish to consider. The purpose of SCRIBE—the combination of the Macaulay Creative Writing Club and SCRIBE Magazine— shall be to serve as a creative outlet for the Macaulay community. The Creative Writing Club will be a place for all members of the Macaulay community to meet, to get inspired, and to create and share their creative works. At the same time, SCRIBE Magazine will seek out these creative works—whether they are art, photography, writing, or in some other medium—and publish them in periodic print issues, as well as in accessible digital formats as necessary. Any Macaulay student who elects to become a member of SCRIBE will be able to participate in weekly group activities and outings exploring art, photography, culture, poetry, and prose. They will also have access to the content editors for advice on their art, photography, and writing, and may be assigned to produce certain pieces for publication. We are a student-run service and volunteer organization based in the Macaulay Honors College that focuses on health and education access issues abroad in South Asia and domestically with the South Asian diaspora communities in New York City. Spoon University is an online platform for college students around the world to share their thoughts and experiences with food, ranging from restaurant reviews to recipes to nutrition. Macaulay's chapter of Spoon University aims to add diversity to this resource by sharing family traditions and study abroad experiences. We are also here to build a reputation for Macaulay as New York City's hidden academic and cultural mine. Spoon University members will have the chance to build a publication and to write and publish original articles, photos, and videos that add diversity to the online platform. Members will also have the chance to experiment with different marketing strategies to grow their audience. Joining Macaulay's chapter of Spoon University gives members a space to share their traditions and experience with a larger community while having their work published online. The purpose of this organization is to create a forum for students to explore the confluence of the fields of art and science through discussion, collaboration on projects, and contact with academic speakers. STEAM education (incorporating art and design into STEM curricula) is becoming an integral party of systems of higher education, and this club is a means to introduce this initiative to CUNY (and the broader NY area). The Art of Science club provides students with the unique opportunity to publish their research in a CUNY-wide Interdisciplinary Research Journal and with a network to develop connections with other students and faculty members across multiple fields. The mission of this organization shall be to foster a network of research-oriented individuals in a variety of fields and to offer support to said individuals. Membership benefits include exposure to research methods, as well as networking opportunities with professionals.